Anvisoft Cloud System Booster Pro is a cloud-based system maintenance & optimization tool that will help you benefit from a fast and reliable computer, even without having any expert skills. 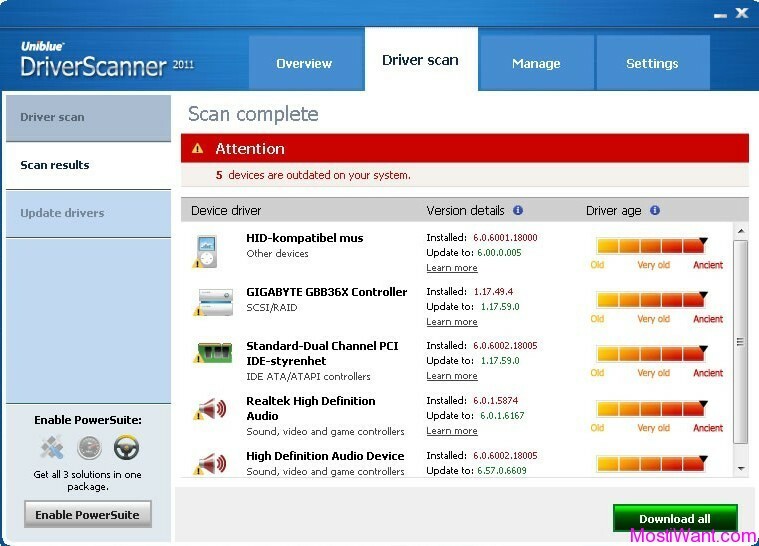 This all-in-one PC maintenance program combines four main functions that include Registry Cleaner, Disk Cleaner, Optimizer and PC Repair to tweak the peak PC performance by throwing out junk files, disabling unneeded services, cleaning up 3rd party applications generated junks, and repairing registry errors. Besides its optimizing efficacy, Cloud System Booster also protects your privacy by cleaning your browsing history, temporary internet files and browser cookies and extensions, minimizing the chance of falling into Internet scam. 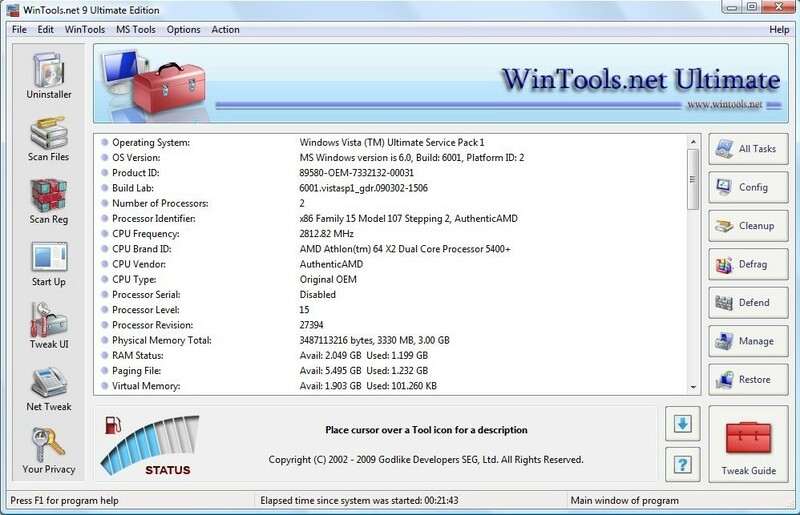 Other features includes GB File, Uninstaller, RAM Booster, Startup Booster, Browser toolbar/add-on manager, and personalized user experiences, etc. 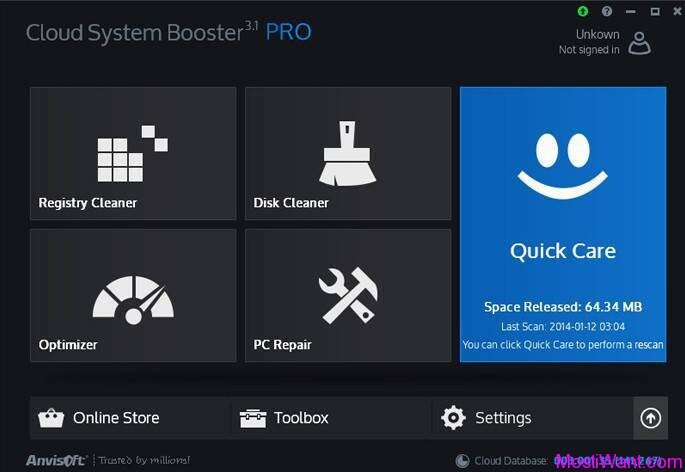 Cloud System Booster is designed for both PC novices and professional users, with one-click a day for simple computer boost as well as typical expert settings for professional PC fix. Tipradar and Anvisoft work together to give away Cloud System Booster free for 72 hours. Just visit the giveaway page here and Enter your Email to get your free license key. 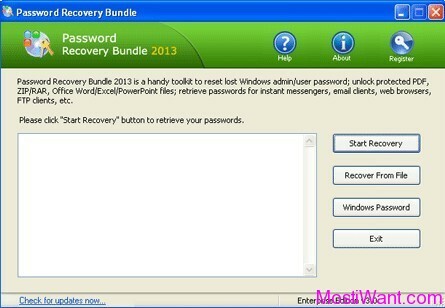 Anvisoft Cloud System Booster Pro is normally priced at $19.98 per one year serial key. But in cooperation with Anvisoft Corporation (developer of Cloud System Booster and sponsor of the giveaway ), we can offer Cloud System Booster Pro 3.1 (latest version) completely FREE to our visitors for the next 72 hours! Don’t miss it! To participate in the Giveaway, simply leave a comment below with a valid email address been entered on the “Mail” field. And do NOT post email address inside comments to avoid spam. License will be sent to you at the end of the giveaway, as soon as I get the code from Anvisoft Corporation. If you wish to share this post, to help spread the word among your friends, you may use the sharing widget placed at the end of this post. I would be very appreciate if you were to share this giveaway offer on any social networking site of you choice. Updated 1: Giveaway closed now, license will be sent to you as soon as I get the code from Anvisoft Corporation. Updated 2: I have got the licenses from Anvisoft Corporation and will sent them to you within 24 hours. Updated 3: I have sent the licenses to all giveaway participators. Please check for it. If the e-mail hasn’t arrived within 15 minutes, please check your spam, bulk or junk mail folder to locate it. And if you still can not find it, leave a comment below, I’ll try to help. Please count me and send a license key of it. I’ll try it out and see if I like it. The one I’m using now keeps trying to sell me more of their software evrytime I start it up. Don’t think I’ll buy it again. Thanks and count me in please. Count me in for one if I’m not too late. And thanks a bunch! Tried many so-called Windows Tuning programs before! So, I think I will give this one a try , too! i love it. let me try…. Thanks a lot.Let me in. I would like to have a free license key. thank you for this giveaway and in general the good posts.Please , cout me in .thanks ! thanx for giveaway.please count me in. No issue of license but William is the gem of a person.Better than the best human being.And so you have to be just what you are,nothing more to do!Only to better yourself which everyone can do at all times. Please send this offer of activation code. I love this site, http://www.mostiwant.com/ . Yes, please include me in too.